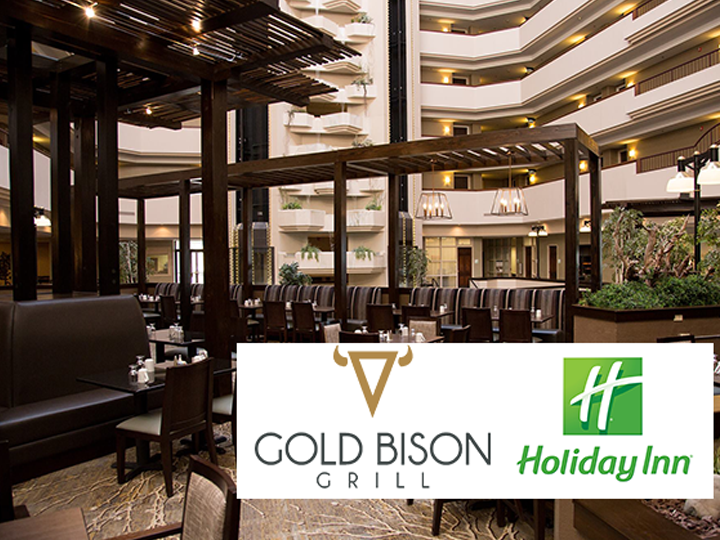 $30 Voucher to The Gold Bison Grill at The Holiday Inn Rushmore Plaza in Rapid City, HALF-PRICE for just $15! Gold Bison Grill at Holiday Inn Rushmore Plaza in Rapid City offers a great Deal! 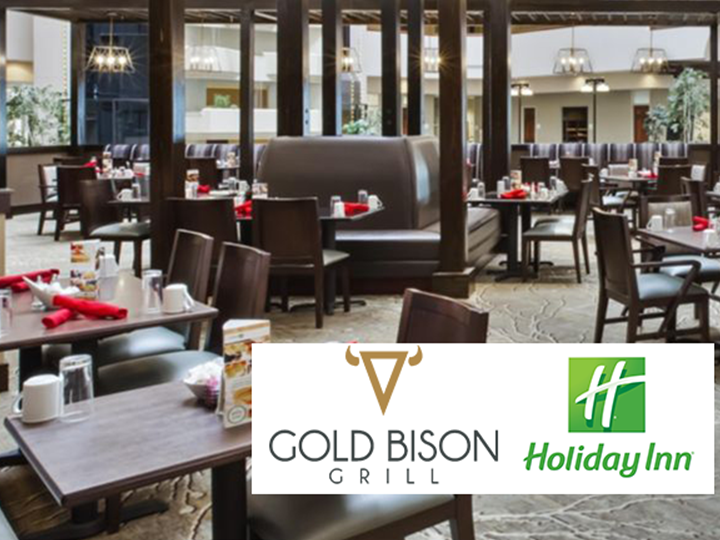 If you're looking for a great family restaurant in Rapid City, The Gold Bison Grill in The Holiday Inn Rushmore Plaza offers casual American dining with regional flavors, and kids eat for free! Nestled amid the greenery of our beautiful atrium, The Gold Bison Grill serves up breakfast, lunch and dinner. Redeem at The Gold Bison Grill inside the atrium on the first floor of the Holiday Inn Rushmore Plaza at 505 North 5th Street in Rapid City. No cash back. No carryover. No cash value. Gratuity not included. One voucher per party. Does not include alcohol. If you're looking for a great family restaurant in Rapid City, SD, our hotel's The Gold Bison Grill offers casual American dining with regional flavors, and kids eat for free. Nestled amid the greenery of our beautiful atrium, The Gold Bison Grill serves up breakfast, lunch and dinner.